ECOLOGICAL and environmental changes are a common cause of migration. These changes can be sudden and unpredictable like earthquakes, or gradual like desertification or land degradation. Environment degradation due to deforestation, soil erosion and land scarcity is often the root of refugee-producing conflicts. The Zapatista rebellion in Mexico and the subsequent displacement of 35,000 people has been attributed to the growing discontent among farmers due to environmental changes. Another example of displacement on account of environment-induced degradation is the displacements that have been occurring in the former Soviet Union states. Decades of agricultural overexploita-tion, excessive irrigation, industrial pollution and overgrazing have desertified and salinated the land, and led to wastage of water resources. In the first half of the 1990s, around 270,000 people had been displaced in the former USSR for such reasons alone. The possibility of battle lines being drawn in the future by various states for control over rivers and other valuable environmental assets is also a distinct possibility. Refugees, perhaps through no fault of theirs, set up a chain of problems arising out of environmental degradation. The place where they seek asylum often gets overburdened, and natural resources get overex-ploited, leading to further environmental degradation and, in the process, more refugees. On the flip side are refugees who have been displaced due to development. According to the World Bank estimates, between 90 and 100 million people have been forcibly displaced over the last decade as a result of large-scale development initiatives such as dam construction, and infrastructure development. These numbers do not include those displaced by mining and land use conversion projects. Development-induced displacement leads to landless-ness, poverty, economic marginalisation, food insecurity and loss of access to common resources. India has the dubious distinction of being one of the countries with the highest rates of development-induced displacement in the world and 40 per cent of the 23 million displaced people are tribals. It is the duty of the state to prevent refugee problems by protecting the rights of their citizens. In countries where the governance system has collapsed, it is difficult for even humanitarian groups to protect the displaced. In Bosnia, for instance, starvation is used as a weapon of war. Aid agencies' staff often risk their lives. It is difficult to provide aid and if at all aid is allowed, in all possibility, it will be plundered. It's the New Age world, the age of speed and cutthroat operations. It's the survival of the fittest. The 1990s have also witnessed a series of civil wars and communal tensions which has led to the displacement of several ethnic communities. Currently, 35 civil wars and a much larger number of low intensity conflicts are being fought around the world. The fallout of the turmoil is often mass displacement of the helpless. Forced population displacements have been central to all the political crises that have rocked the Great Lake regions of Africa in recent times. In Burundi alone, internal armed conflict has resulted in more than 160,000 refugees. The assistance to refugees is also getting complicated. Host and donor countries are finding it increasingly difficult to meet the costs involved. Refugee movements are being considered as a threat to national security. Powerful states are keen to interfere only if they have something of strategic significance to gain. They are also reluctant to take decisive action that is sometimes required to avert political crises and bring an end to massive human rights abuses. Moreover, no host nation wants to play host forever. And the return of these refugees is fraught with problems. Armed conflict and communal tensions has the refugee always on the edge, never sure when it may be time to flee again. 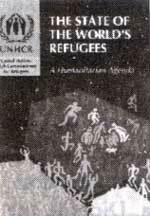 The book provides hard facts and is also peppered with examples of refugee problems all over the world. It also spells out a plan of action to safeguard the security of the displaced. This can be achieved mainly through elimination of poverty. Also, brokering peace between warring factions would see an end to displacements due to civil strifes. The ongoing tussle between the Palestinians and the Jews has already made millions seek asylum in alien lands. Other suggestions include curtailing the availability of arms, promoting democracy and human rights and ensuring accountability from nations so that people are not forced to flee.